Dwight Emary Harken (1910-1993), A.B., 1931, Harvard University, Cambridge, Massachusetts; M.D., 1936, Harvard Medical School, Boston, Massachusetts, was Clinical Professor of Surgery at Harvard Medical School and Chief of Thoracic Surgery at Peter Bent Brigham Hospital, Boston (1948-1970). 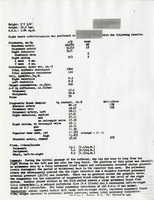 Harken performed the first consistently successful elective intracardiac surgery by removing shell fragments from soldiers’ hearts during World War II and also was the first to use the caged ball valve successfully in the natural anatomic site in humans in 1966. 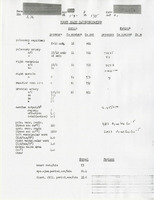 The Dwight E. Harken papers are the product of Harken’s activities as a surgeon, researcher, administrator, lecturer, consultant, and contributing member of national organizations, as conducted throughout his professional appointments, including Clinical Professor of Surgery at Harvard Medical School and Chief of Thoracic Surgery at the Peter Bent Brigham Hospital, Boston. 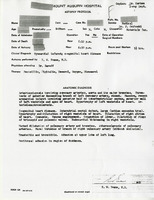 Professional and clinical appointment records (Series I) consist of administrative records, patient medical records, meeting records, personnel records, correspondence, and writings generated by Harken throughout his career at the Peter Bent Brigham Hospital and Mount Auburn Hospital, and while serving in the United States Army Medical Corps. 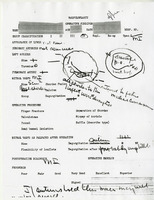 Patient Records (Series II) consists of surgical, x-ray, pathology, and autopsy reports of Harken’s patients. 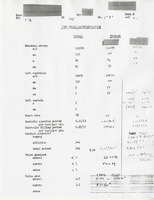 Surgical procedures notebooks (Series III) consist of instructions on various surgical techniques and related subject resource materials. 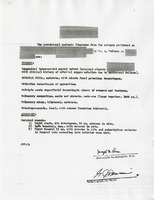 Papers contain Harken’s correspondence (Series IV) with colleagues, patients, family, and friends about manuscripts, professional organization activities, and patient cases. 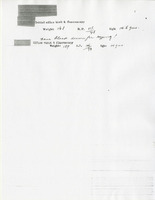 The papers also include: correspondence, lecture drafts, writings, and meeting and membership records (Series V); drafts, notes, correspondence, photographs, and collected articles supporting the development of Harken’s manuscripts and lectures (Series VI); collected reprints, newspaper clippings, and notes on such topics as prosthetic valves, assisted circulation, and pacemakers (Series VII); 16 millimeter reels of film, photographs, and videocassettes of mitral and aortic valve replacement surgeries Harken performed (Series VIII); Harken’s personal correspondence with family and friends, and articles and newspaper clippings about his career (Series IX); and collected reprints and publications about mitral valve stenosis, malpractice, medical devices, smoking, and chest surgery (Series X).